Check products for quality and identify damaged or expired goods.<br>Evaluate quality of food ingredients or prepared foods.<br><br>	<br>Set oven temperatures and place items into hot ovens for baking.<br>Adjust temperature controls of ovens or other heating equipment.<br><br>	<br>Combine measured ingredients in bowls of mixing, blending, or cooking machinery.<br>Load materials into production equipment.<br><br>	<br>Set time and speed controls for mixing machines, blending machines, or steam kettles so that ingredients will be mixed or cooked according to instructions.<br>Operate cooking, baking, or other food preparation equipment.<br><br>	<br>Place dough in pans, molds, or on sheets and bake in production ovens or on grills.<br>Operate cooking, baking, or other food preparation equipment.<br><br>	<br>Measure or weigh flour or other ingredients to prepare batters, doughs, fillings, or icings, using scales or graduated containers.<br>Measure ingredients or substances to be used in production processes.<br><br>	<br>Observe color of products being baked and adjust oven temperatures, humidity, or conveyor speeds accordingly.<br>Inspect food products.<br>Adjust temperature controls of ovens or other heating equipment.<br><br>	<br>Check the quality of raw materials to ensure that standards and specifications are met.<br>Evaluate quality of food ingredients or prepared foods.<br><br>	<br>Check equipment to ensure that it meets health and safety regulations and perform maintenance or cleaning, as necessary.<br>Monitor equipment operation to ensure proper functioning.<br>Clean production equipment.<br>Maintain production or processing equipment.<br><br>	<br>Adapt the quantity of ingredients to match the amount of items to be baked.<br>Determine food production methods.<br><br>	<br>Apply glazes, icings, or other toppings to baked goods, using spatulas or brushes.<br>Apply protective or decorative finishes to workpieces or products.<br><br>	<br>Decorate baked goods, such as cakes or pastries.<br>Apply protective or decorative finishes to workpieces or products.<br><br>	<br>Operate slicing or wrapping machines.<br>Operate cutting equipment.<br><br>	<br>Roll, knead, cut, or shape dough to form sweet rolls, pie crusts, tarts, cookies, or other products.<br>Shape clay or dough to create products.<br><br>	<br>Direct or coordinate bakery deliveries.<br>Direct operational or production activities.<br><br>	<br>Order or receive supplies or equipment.<br>Order materials, supplies, or equipment.<br><br>	<br>Prepare or maintain inventory or production records.<br>Record operational or production data.<br><br>	<br>Develop new recipes for baked goods. 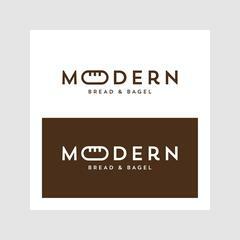 Modern Bread and Begal is posting their hospitality jobs on Harri. See what we’re all about.